At Airedale Springs, we don’t just supply springs and wire forms – we can assist our customers with the design as well. Depending on your needs and requirements, our team will be able to give advice on design, appropriate materials, test methods and create bespoke product which has been made specifically for you. So, how does this process work? What is involved in creating your perfect spring or wire form? 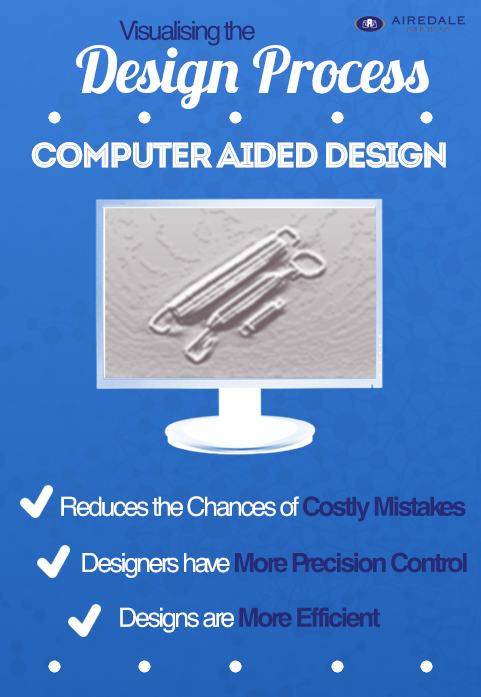 Computer Aided Design is normally perceived as computer programmes which are used by designers to draw and dimension a products. Within the spring manufacturing industry and thanks to well established formula computers can be used to design springs. For many standard springs the spring itself does not need to be drawn as the data can be presented as numerical data from which a spring can be manufactured. 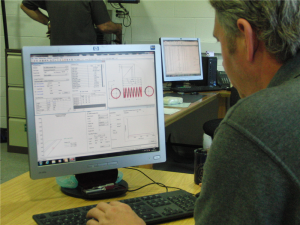 Programmes such as “Spring Calculator Professional “, developed by the Institute of Spring Technology (IST), is the key design programme our engineers use to verify our customers spring designs. The programme can be used for compression, extension, torsion, conical compression, rectangular wire compression, non-standard round wire compression, disc and spiral spring types. 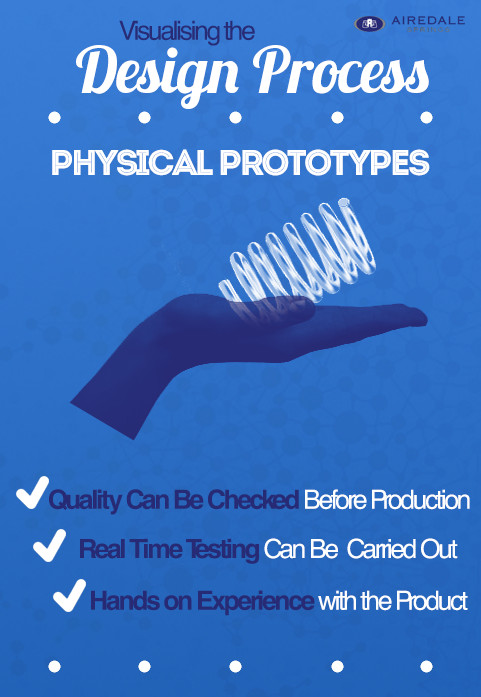 Physical prototypes allow both you and our designers and engineers to get a hands on feel for the indented product. 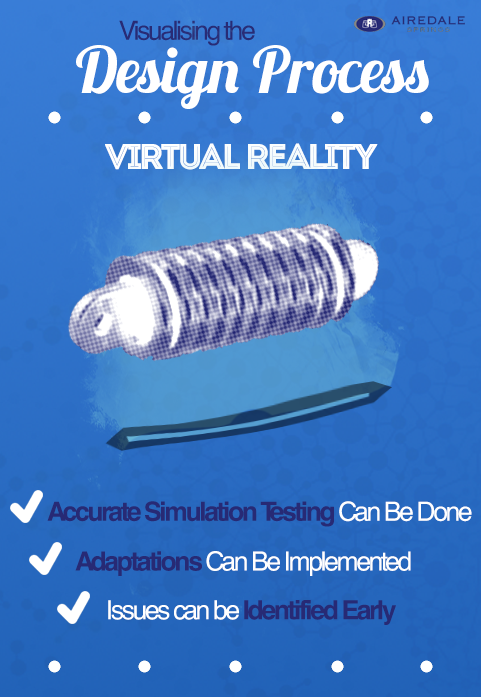 This is a valuable step and gives you a sneak peak at how your finished spring or wireform will look and perform. We don’t know where we’d be without virtual reality simulations, especially when creating a brand new bespoke product that we have never made before. We can accurately test how the product will perform in a variety of settings without having to create the product and find the flaws later. Our design verification process is in place to ensure that you are getting the very best product from us here at Airedale Springs. We want to make sure that you are completely happy with your new component – no matter whether it is a spring or a wireform! For more information on how you can benefit from our bespoke design service, don’t hesitate to contact us today – we’ll be more than happy to help!